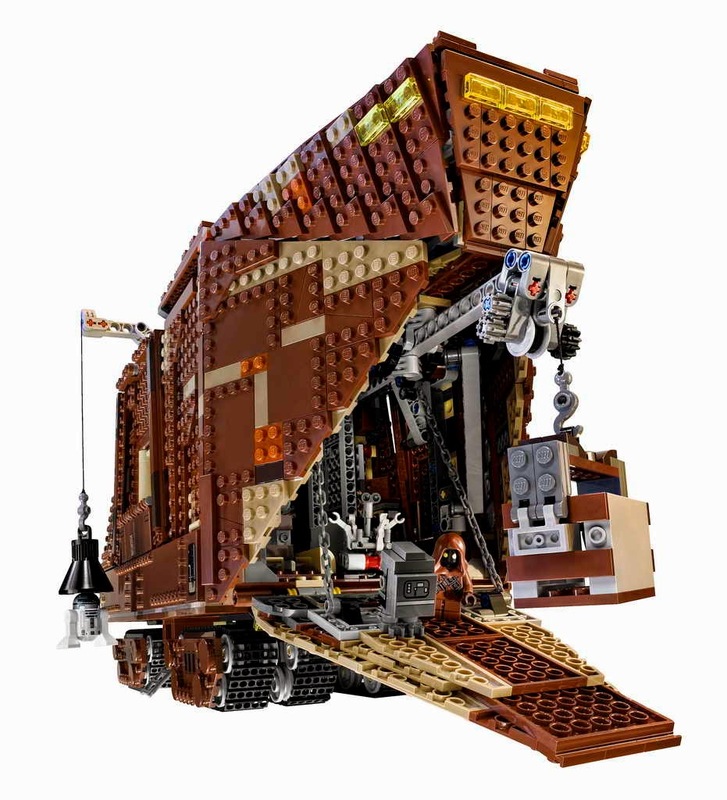 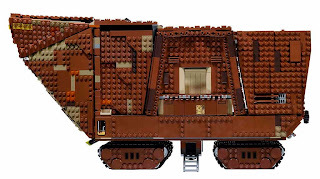 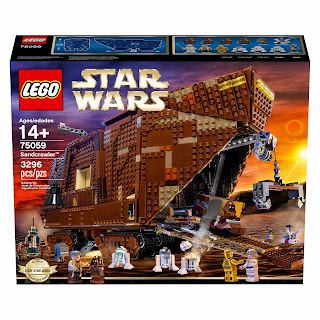 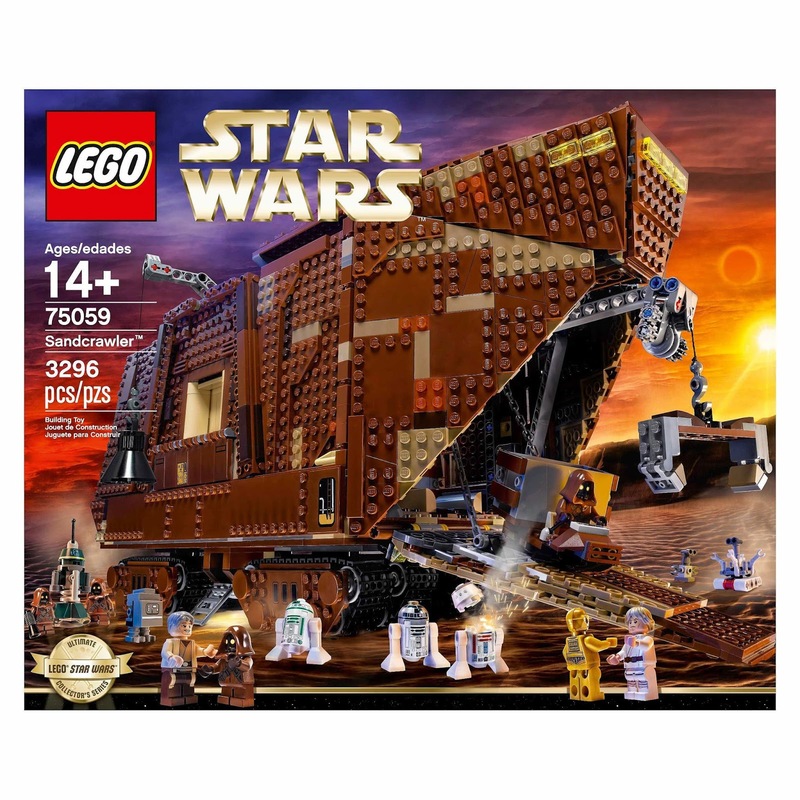 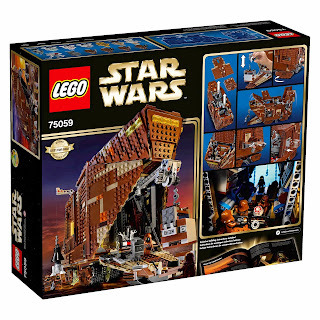 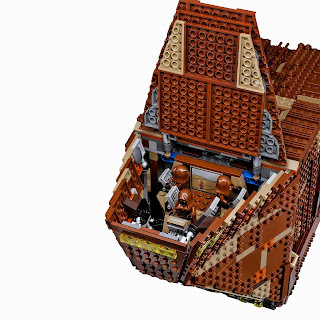 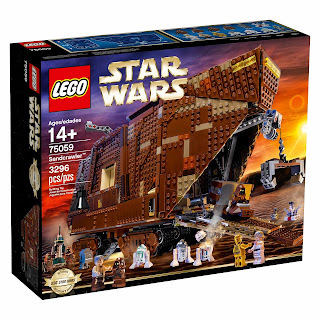 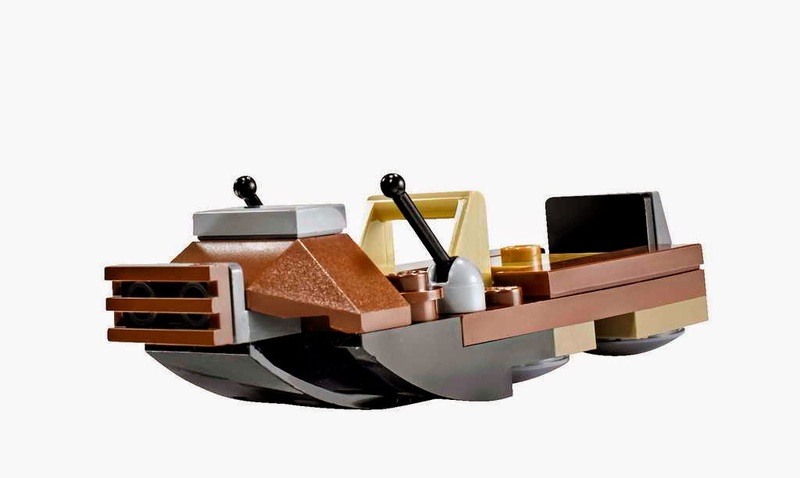 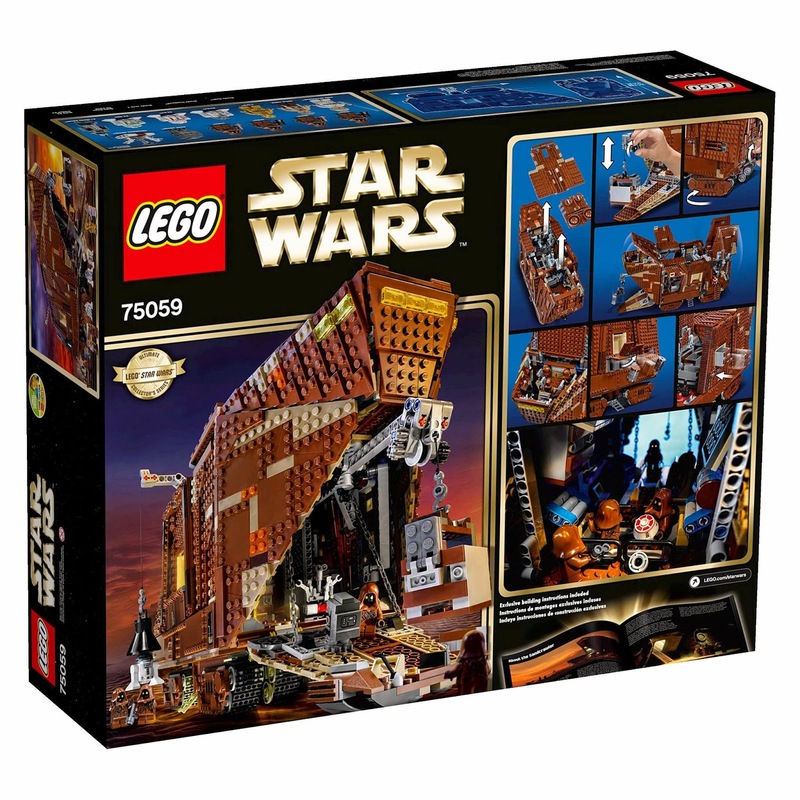 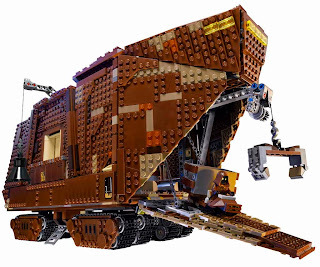 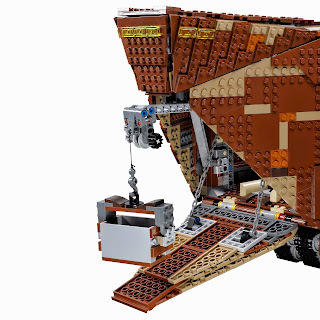 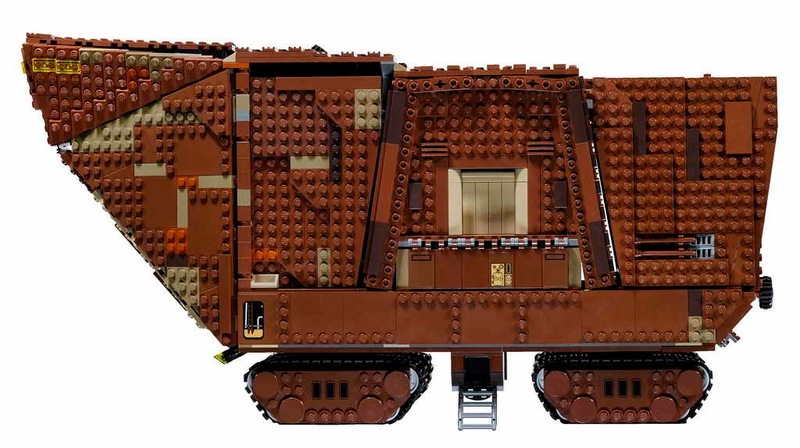 come with a sandcrawler vehicle. 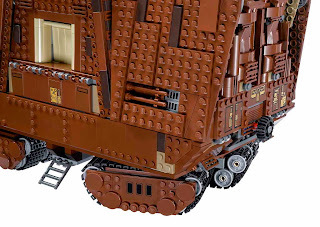 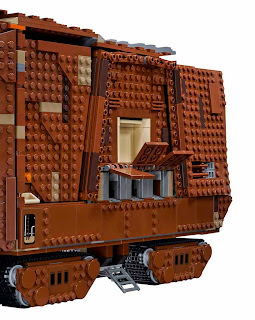 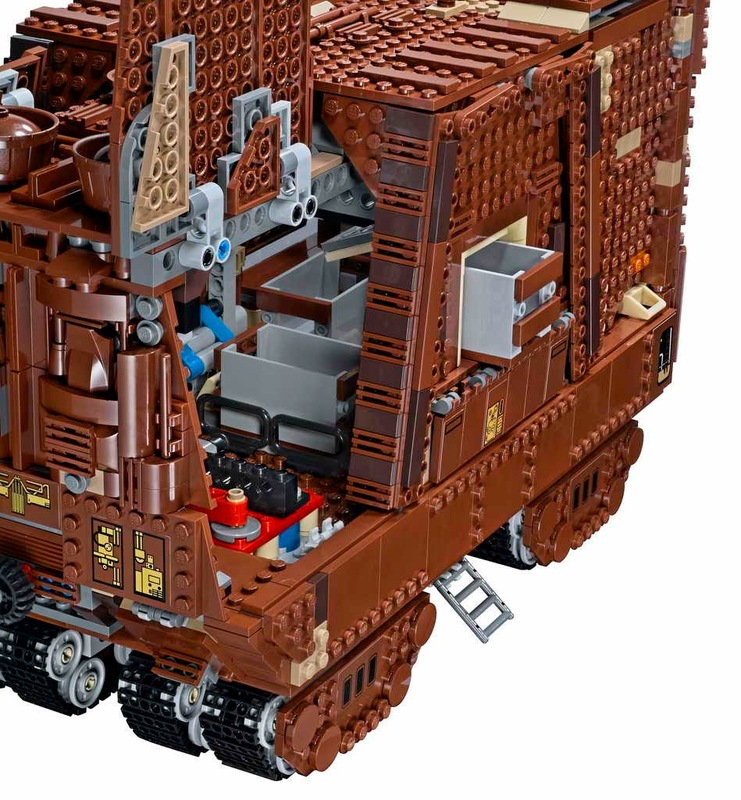 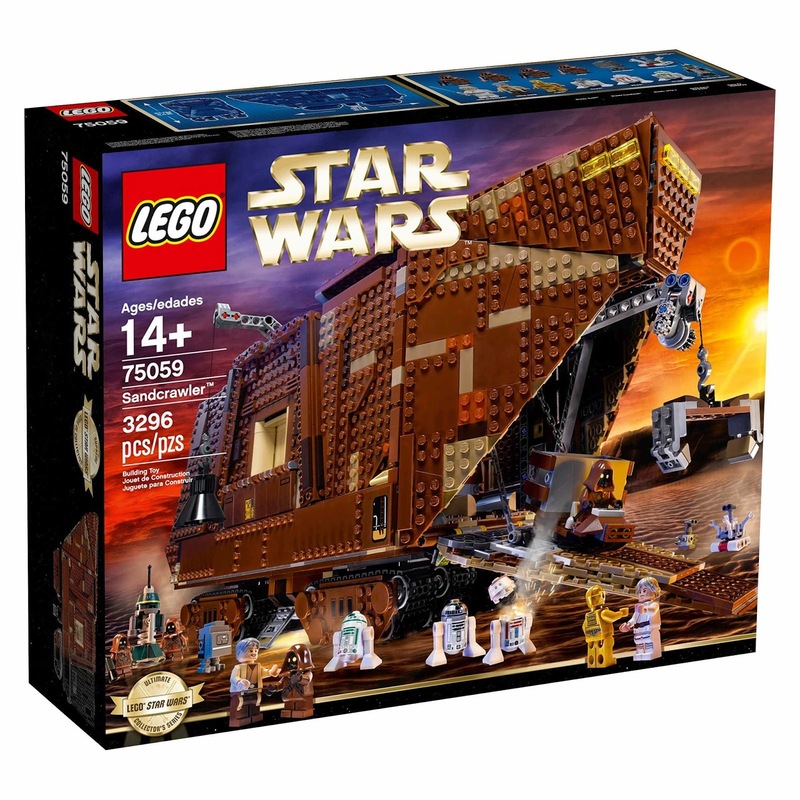 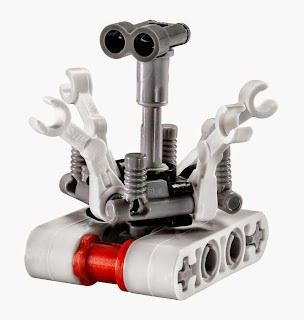 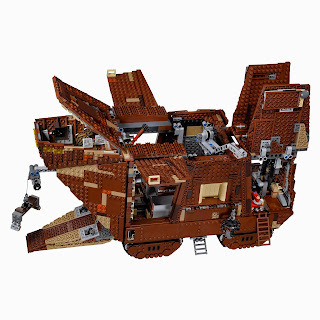 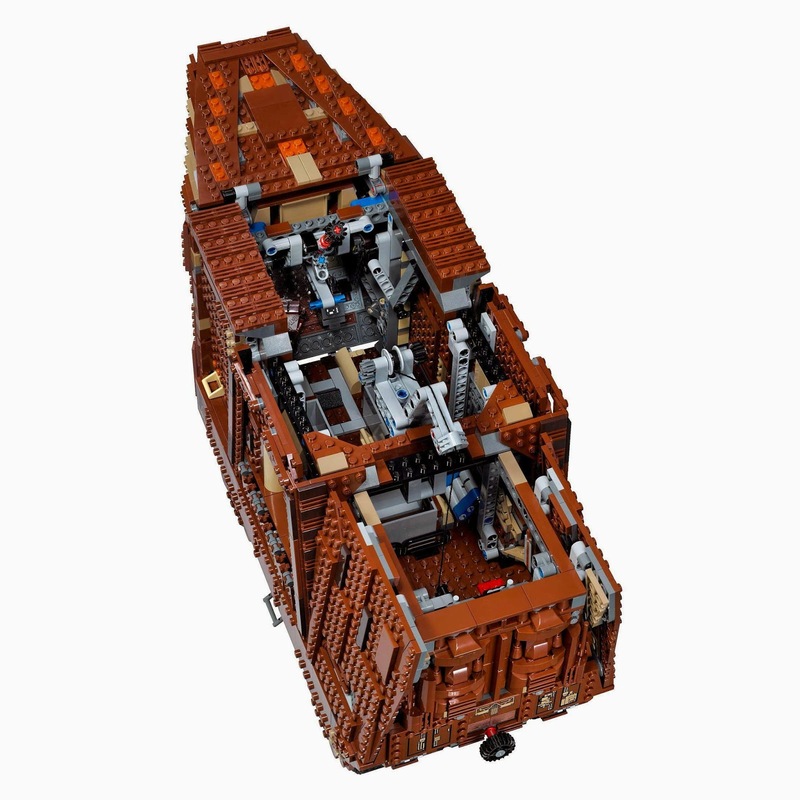 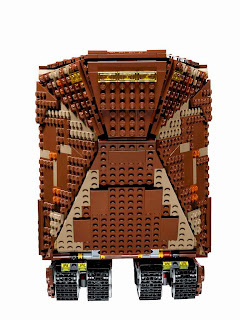 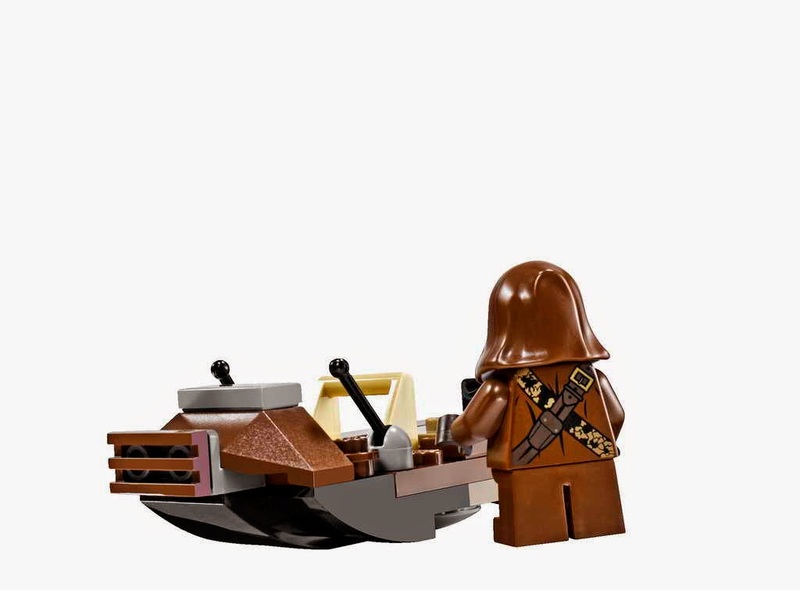 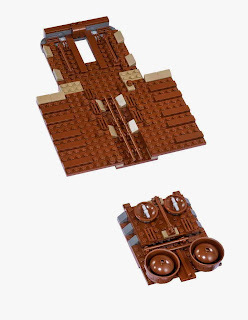 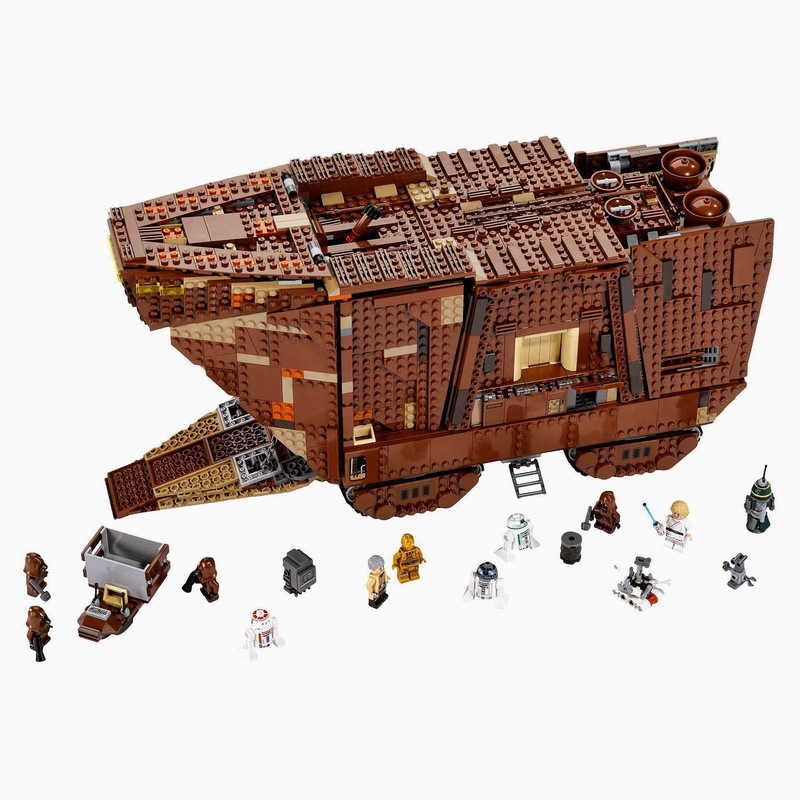 the vehicle has 8 tracked wheels with steering, a lowering front ramp, openable side flaps, removable tops, working cranes, a speeder bike and detailed interior. 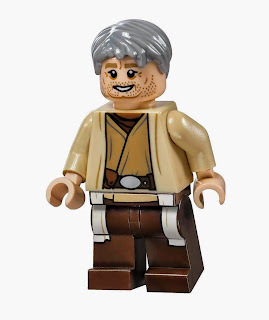 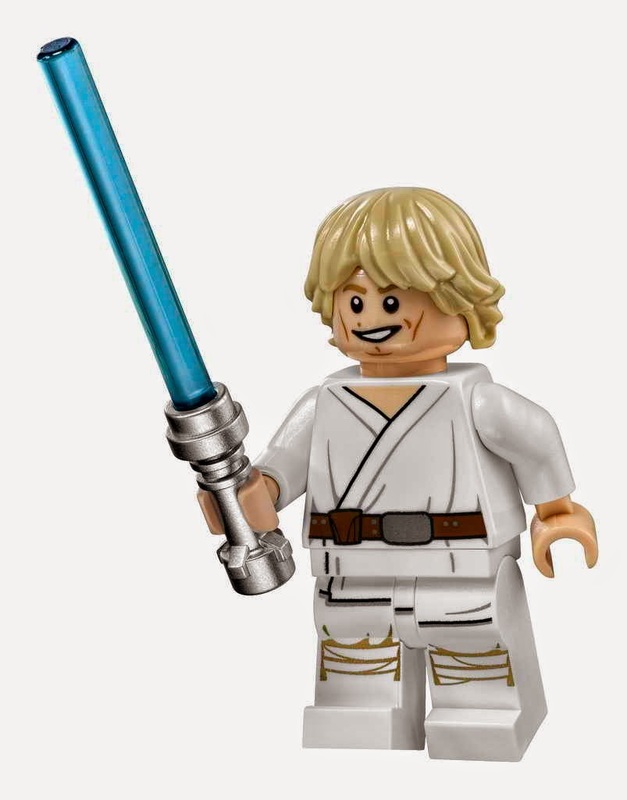 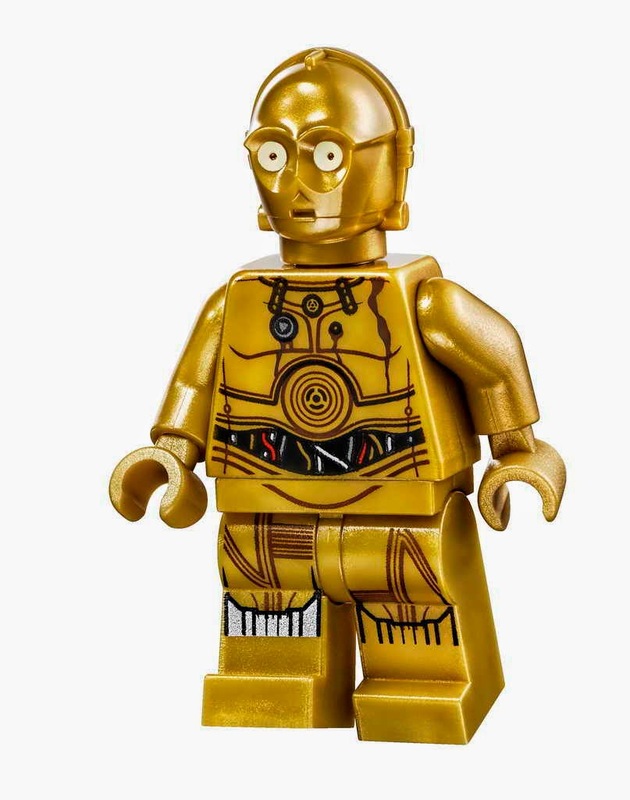 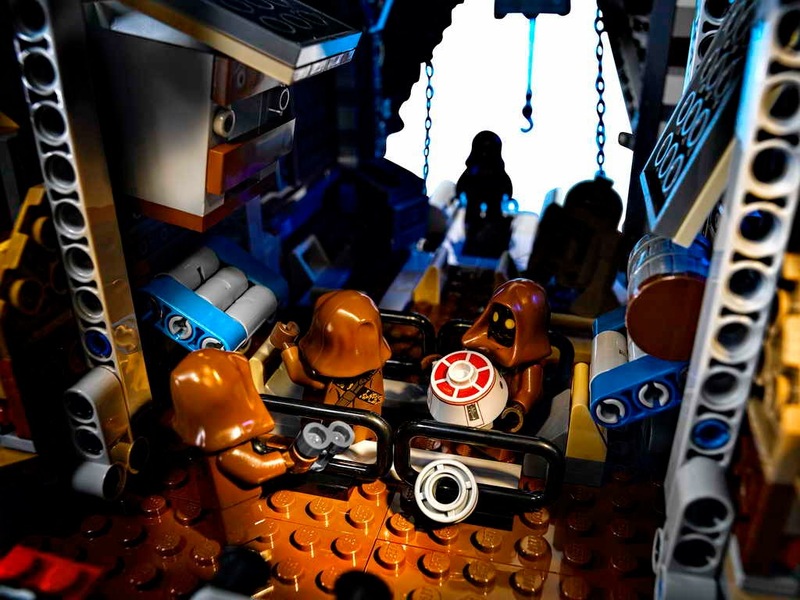 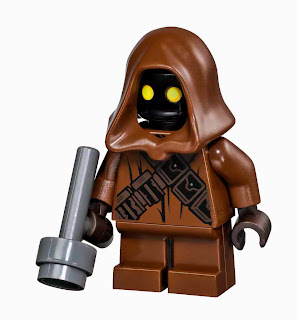 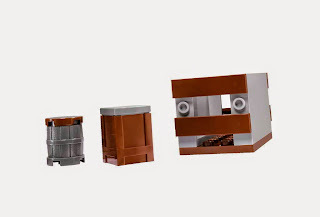 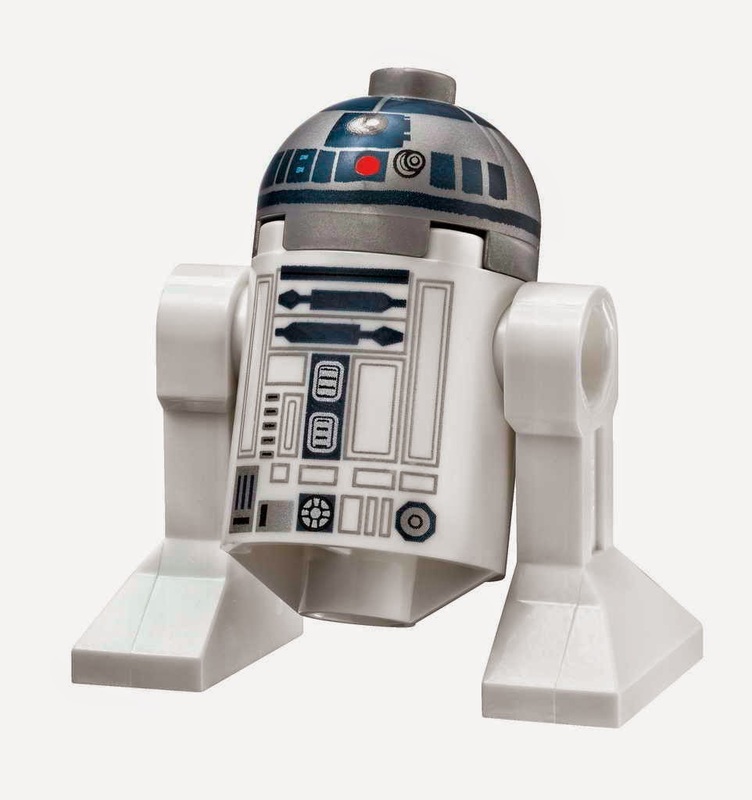 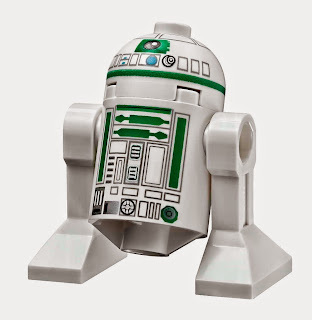 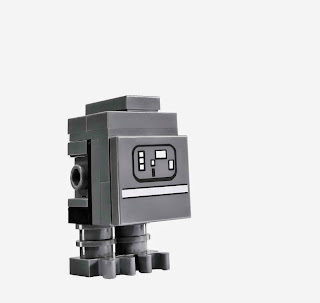 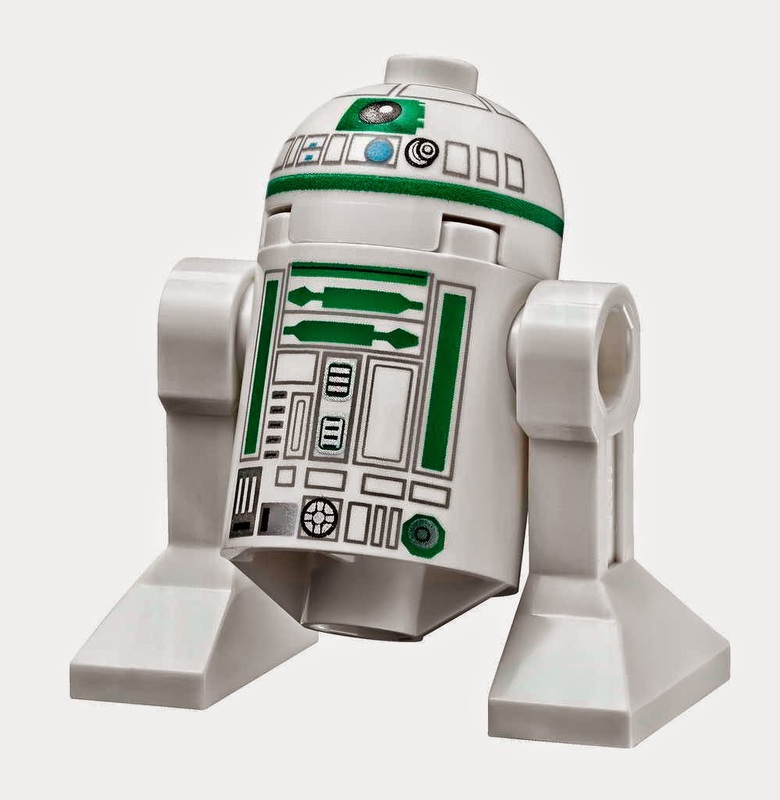 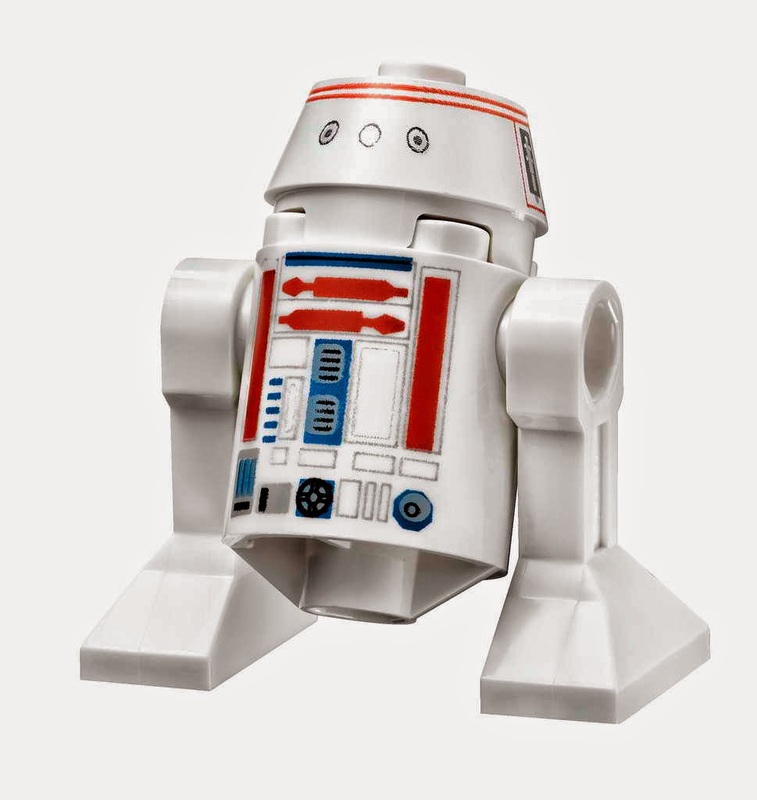 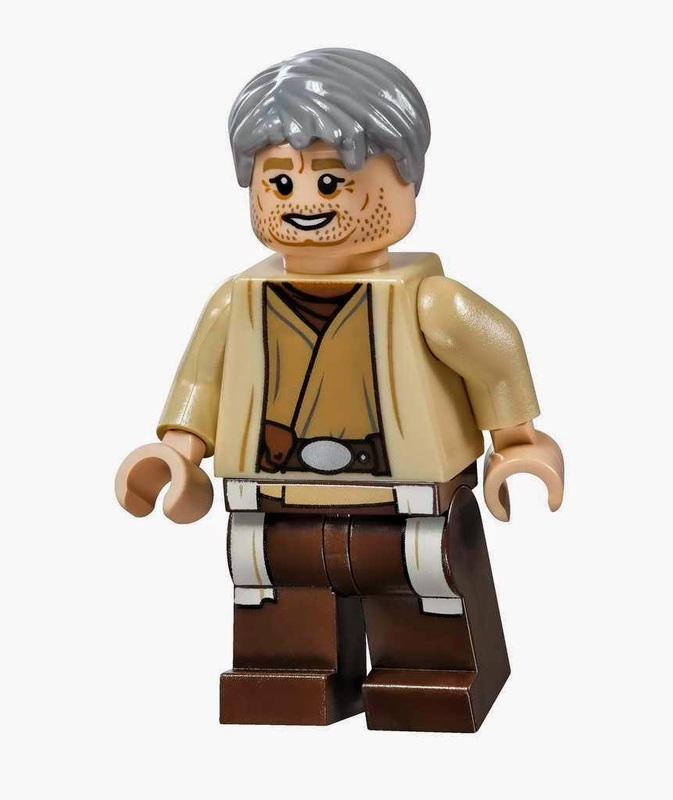 minifigs included a luke skywalker minifig, an uncle owen minifig, a c-3po minifig and 4 jawa minifigs, an r2-d2 minifig, an r2 minifig, an r1-series droid minifig, a gonk droid minifig, an r5-d4 minifig and a treadwell droid minifig.